This sketchbook shows the process of creating the MONO Motion Book series. Includes pencil, inks, color and storyboards for MONO - The Old Curiosity Shop, Dark Hearts of Men and the VR MONO Blackwater. 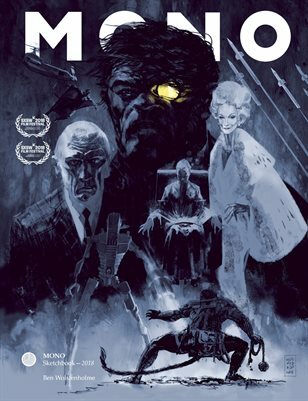 MONO is available now to read on the Madefire app for iOS, Android, Windows and Oculus.